We have previously discussed the cruelty shown by Chinese to animals in zoos and circuses. The article below offers a further glimpse into this national and cultural disgrace after a man strangled an ostrich to death in a zoo. 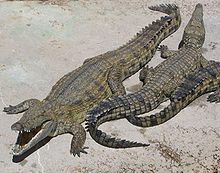 Another report shows that a zoo in Shenzen is down to just two crocodiles from a dozen because people are killing them by throwing rocks at them and garbage into their pools. The pool for the crocodiles were filled with garbage as Chinese visitors thrilled at hitting them with rocks and debris. In another zoo, Chinese threw snowballs at the lions as well as more obnoxious items. Environmentalists in China have told me that they have to overcome a cultural barrier to caring for nature and animals. I saw the same cultural problem in my visits. 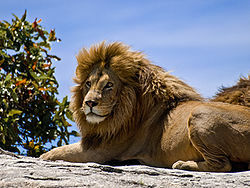 This is a high consumer culture where exotic animals are valued more on a plate than in a zoo. This is why I have such respect for Chinese environmentalists who are fighting against both an authoritarian government as well as a cultural hostility to their work. Maybe it is time for all cultures to re-think the Zoo thing. Someday there may be a revolution and bears will be locking up humans and laughing at their behavior. I will only buy tea if it comes from China. Chinese teas even the cheapest and nastiest are low in tannin and one does not need to adulterate them with milk, sugar etc. I buy them at Chinese shops where most customers are Chinese and therefore knowledgeable about quality. If one does not like buying from Chinese companies, some of Twinings teas are in fact from China. Twinings Lapsang Souchong, Yunnan, Russian Caravan, Prince of Wales and Sichuan are all from China or Taiwan. I think you will find that where the Chinese have adaulterated products with melamine or other things, they have been selling to foreign devils, not overseas Chinese. “What is man without the beasts? If all the beasts are gone, man would die from a great loneliness of spirit. For whatever happens to the beasts, soon happens to man. All things are connected.” –Chief Seattle. Dredd that was a beautiful video…diving with Rays is on my list….and you don’t need to go so far as China to observe cruelty or stupidity, there is plenty right in our own back yard. My wife and I won’t buy any food or health product from China either. In fact, at my store I will not sell any beverage or food products from there either. It’s just asking for trouble. Interesting link Darren. I make sure when buying treats for my dog to not purchase anything from China. I dont trust their quality control and what they are putting in the dog treats. It’s time to send Michael Vick for humanitary purposes. China is a pirate territory. Fly over and flush. Twice. That is just sad and a little depressing. I’ve got a training solution for the problem though at least as it pertains to the alligators. There’s a bayou about two hundred yards from my front door. I cordially invite the Chinese to swing by any time and go throw stuff at the alligators. We’ll see how that works out for them. It’ll help with some negative reinforcement to modify that behavior and reduce their population problem in one fell swoop. Fundamentalists have many similarities, as do kind people. This is sad….. Nature is to be cherished…..